I am following up on our complaint of May 24th regarding the imbalances we found on local Milwaukee talk radio during the Scott Walker recall campaign. We have completed our report of all shows through May 24, the date we made the FCC complaint. 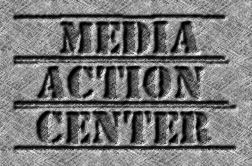 The full report may be found here: http://www.mediaactioncenter.net/2012/05/scott-walker-recall-talk-radio.html#more Should the FCC need us to compile data on the remaining days of the campaign, please let me know, as we do have archives of all the programs and can provide that information if you deem it necessary. 31. What we were stating in Zapple was simply a common sense application of the statutory scheme. If the candidate himself appears to some significant extent (cf. gray Communications, Inc., 14 FCC 2d 766, 19 FCC 2d 532 (1968)), then the Congressional policy is clear: equal opportunities, which means no applicability of Cullman but rather mathematical precision of opportunity. Suppose neither the picture or voice of the candidate is used -- even briefly -- but rather a political message devised by him and his supporters is broadcast. It is relevant to note that today, one political party getting a half an hour of time to the exclusion of the other is not an exaggerated hypothetical, but rather a commonplace occurence over our publicly owned airwaves. This is in large part due to the public not fully understanding their rights as the owners of the airwaves. 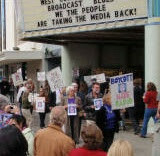 At its core, we are standing up for the First Amendment rights of the public in this unique private/public partnership of radio broadcasting. 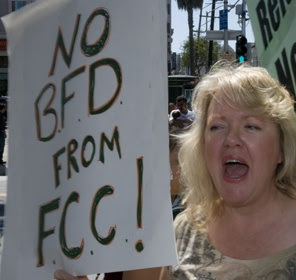 (As cited in Red Lion v FCC, "The First Amendment is relevant to public broadcasting, but it is the right if the viewing and listening public, and not the right of the broadcasters, which is paramount." The broadcasters seem to think only they have rights to free speech over the microphones which influence millions. We challenge that assertion, as we believe those excluded from accessing the microphones are having their First Amendment rights denied them, especially during campaign seasons. I understand that there are issues the FCC must consider concerning whether or not this rule about fundamental fairness during political campaigns is intact, given the demise of the Fairness Doctrine. I believe our original complaint well addressed this issue, and I believe the public interest standards of the Communications Act call for retaining this rule. 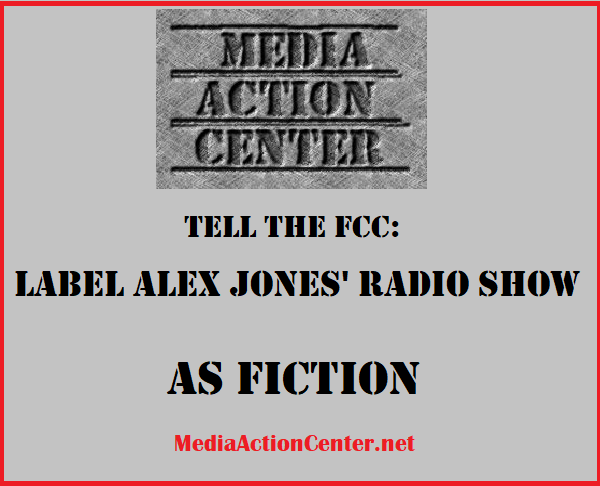 However, should the FCC find itself with no rule in place, given the egregious nature of our complaint, and given that this kind of one sided radio broadcasting with clear political intent mirrors that of operators nationwide, we respectfully request a proposal for a new rule. In coming days, we will be forwarding the FCC a petition from the public supporting this, as well as a letter of support from groups across the nation.